– Axé sur « Dimension Police » et l’archétype « Dimension Robo », joué par Mitsudasa « Koutei » Kenji. Et la grosse surprise de la journée revient à ce nouveau Trial Deck, consacré à un clan totalement nouveau : les Link Joker ! And the biggest surprise of the day is this new Trial Deck, dedicated to a brand new clan : the Link Jokers ! 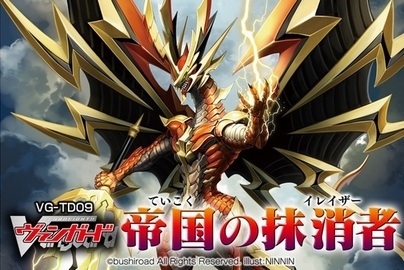 [AUTO] Limit Break 4 (This ability is active if you have four or more damage):When a «Link Joker» rides this unit, choose one of your opponent’s rear-guards in the front row and one of your opponent’s rearguards in the back row, and lock them, choose one of your vanguards, and that unit gets [Power]+10000 until end of turn. 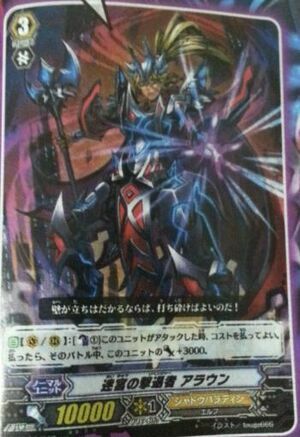 [AUTO](RC): When this unit attacks a vanguard, if you have a «Link Joker» vanguard, this unit gets [Power]+2000 until end of the battle. [AUTO](VC):When this unit’s attack hits a vanguard, choose one of your opponent’s rear-guards, and lock it. 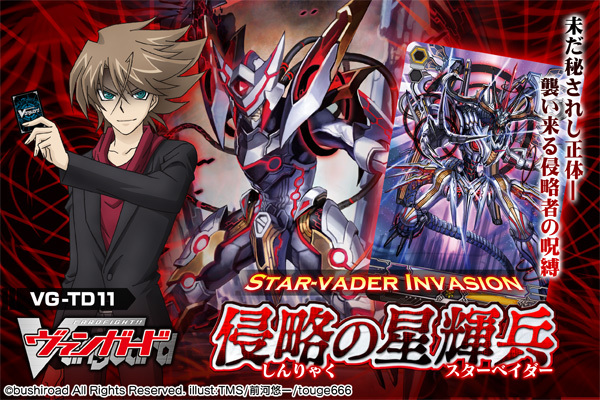 [AUTO](RC):When this unit attacks, if you have a vanguard with « Star-vader » in its card name, this unit gets [Power]+3000 until end of that battle. Il semblerait que le vrai nom du Trial Deck soit Purgatory Revenger ! Ces Shadow Paladin arriveront en masse le 23 Juin ! 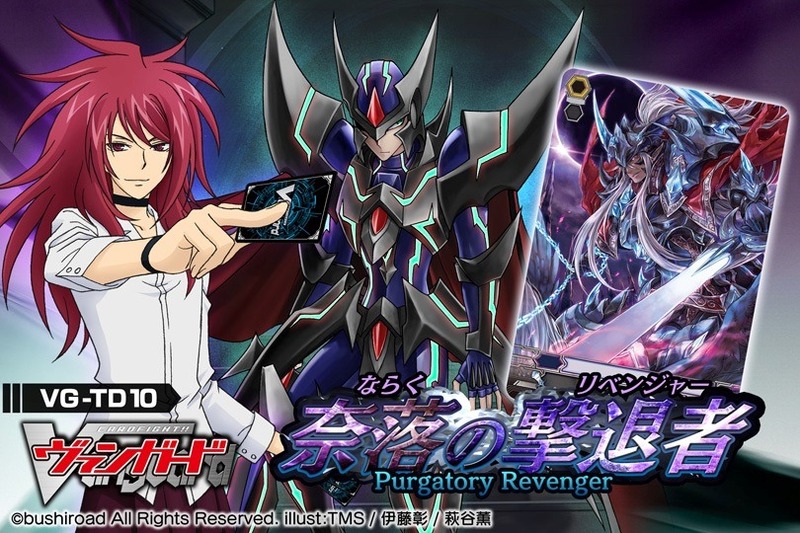 It seems that the Trial Deck’s true name is Purgatory Revenger ! Those Shadow Paladin will be coming by June 23rd ! [AUTO] Limit Break 4 (This ability is active if you have four or more damage):[Counter Blast (1)] When a «Shadow Paladin» rides this unit, you may pay the cost. If you do, choose one of your vanguards, that unit gets [Power]+10000 until end of turn, search your deck for up to one grade 2 or less «Shadow Paladin», call it to (RC), shuffle your deck, and that unit gets [Power]+5000 until end of turn. 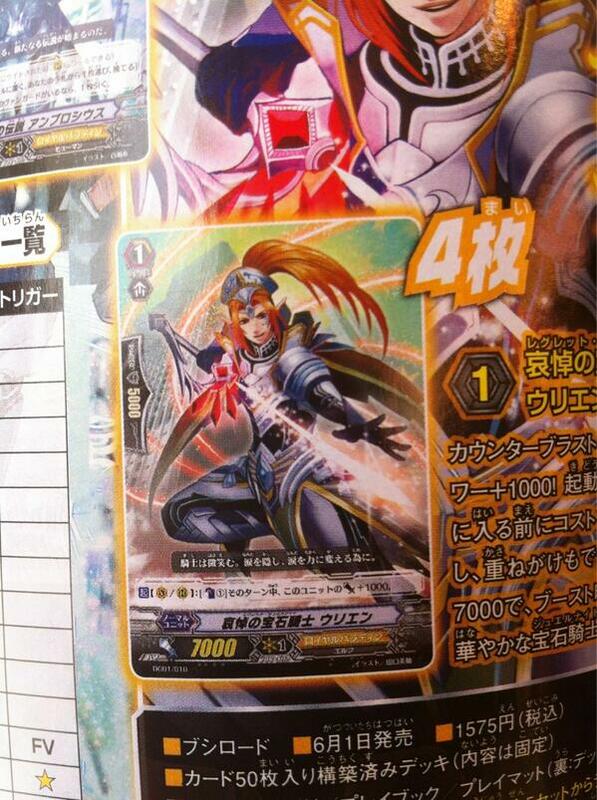 [AUTO] (VC) Limit Break 4 (This ability is active if you have four or more damage): When this unit attacks a vanguard, this unit gets [Power]+5000 until end of that battle. 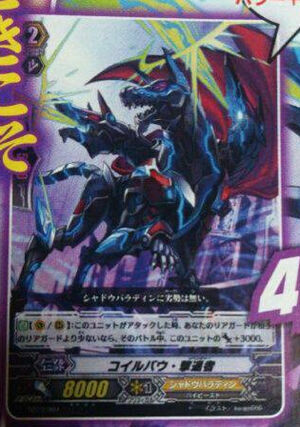 [AUTO] (RC): When this unit attacks a vanguard, if you have a «Shadow Paladin» vanguard, this unit gets [Power]+2000 until end of that battle. 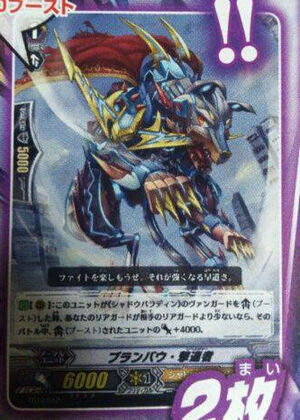 [AUTO](RC):When this unit attacks, if you have a vanguard with « Revenger » in its card name, this unit gets [Power]+3000 until end of that battle. 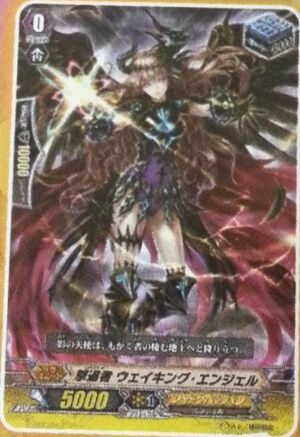 [AUTO](VC/RC): When this Unit attacks, if you have less Rearguards than your opponent, this Unit gains +3000 [Power] during this battle. 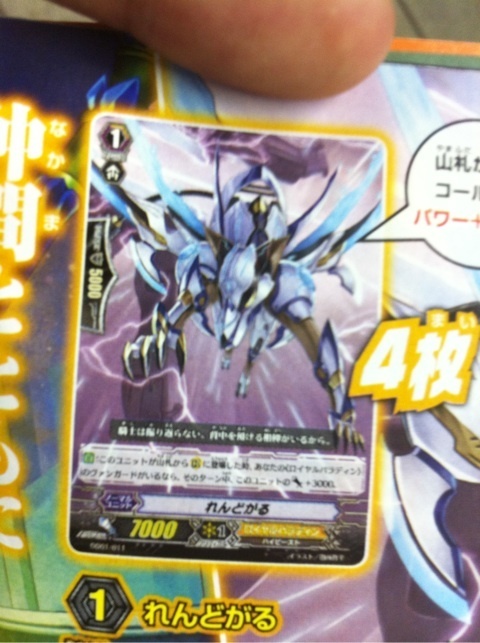 [AUTO](RC): When this Unit boosts a « Shadow Paladin » Vanguard, if you have less Rearguards than your opponent, during this battle, the boosted Unit gains +4000 [Power]. That came from nowhere ! A special set dedicated to Daigo (who will make a second appearence in Season 3) ! Will the Royal Paladin come back stronger than before alongside the Jewel Knights ? It would seem that it is a 50-card Deck, having 10 reprinted cards and 7 new ones ! Sorti de nulle part, voici une extension spéciale dédiée aux cartes de Daigo (qui fera une deuxième apparition dans la Saison 3) ! 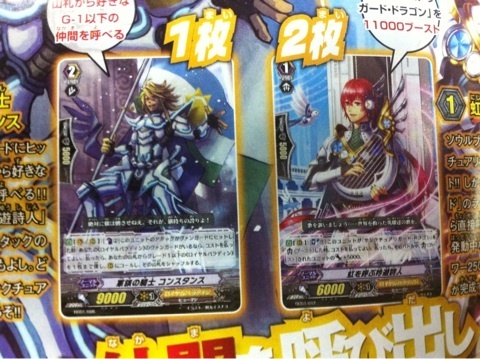 Les Royal Paladin reviendront-ils en force derrière les Jewel Knights ? Il semblerait qu’il s’agisse d’un Deck de 50 cartes, comprenant 10 cartes réimprimées et 7 nouvelles cartes ! – Deck de 50 cartes comprenant 17 cartes différentes (7 nouvelles + 10 réimpressions, incluant 1 RRR et 2 R), avec deux cartes promotionnelles. – Inclut un guide pour débutant, un livret de règles et un tapis de jeu. 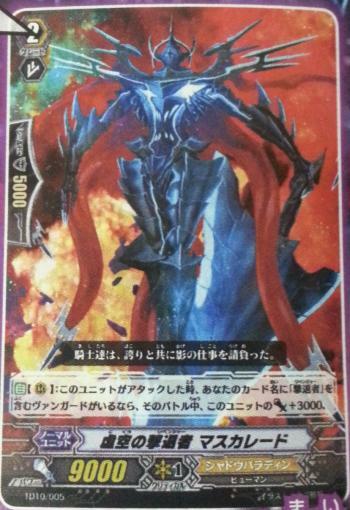 [AUTO](VC) Limit Break 4 (This ability is active if you have four or more damage):During your turn, this unit gets [Power]+3000 for each of your grade 1 or less «Royal Paladin» rear-guards. 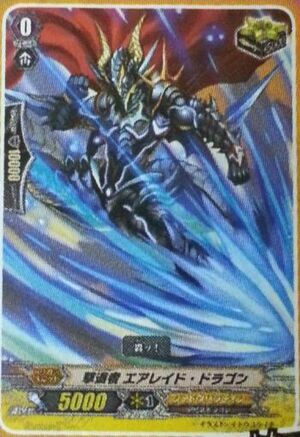 [AUTO]:[Choose a «Royal Paladin» from your hand, and discard it] When this unit placed on (VC), you may the cost. 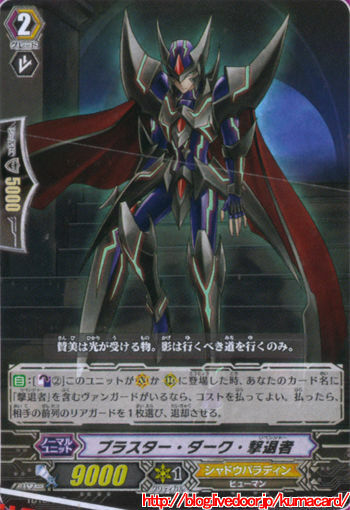 If you do, search your deck for up to one grade 1 or less «Royal Paladin», call it to (RC), and shuffle your deck. 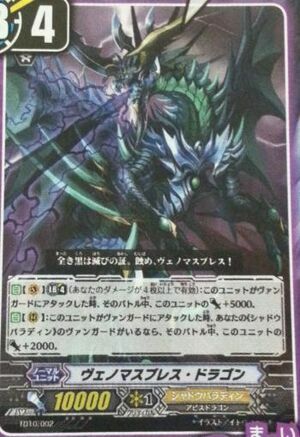 [AUTO](VC/RC):When this unit attacks, if the number of rear-guards you have is more than your opponent’s, this unit gets [Power]+3000 until end of that battle. • Ce Deck comprend des Units Narukami. • C’est un Deck construit de 50 cartes. • Il y a 18 cartes différentes. 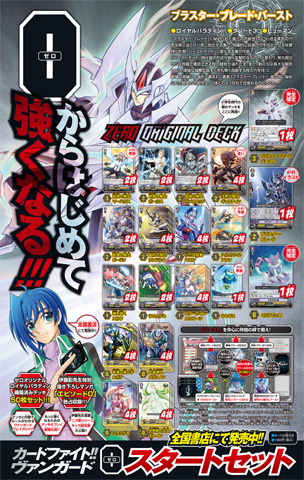 • Il y a 8 cartes exclusives au Trial Deck, dont 2 rééditées dans la BT06. 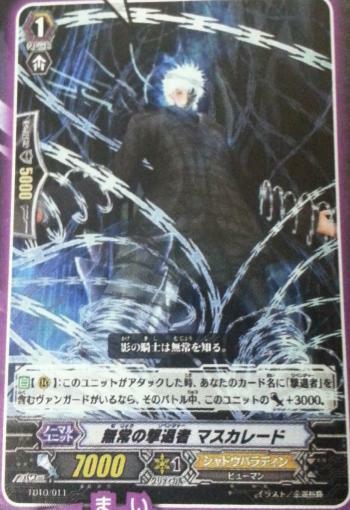 • Chaque Deck contient 1 RR et 2 R.
• Le prix officiel est de 1,050 Yen soit 17$. • Il y a 8 cartes exclusives au Trial Deck, dont 2 rééditées dans la BT08.